Eight a.m., early December, Rome. the false heat and slow rise of the sun. or thief-quick but everyone was smiling. finally slipped through the faceless frame. working through the noodles and the softening bread. by an audience of eye-corners. through puffed clouds of tobacco smoke. his table was violently slammed. Paul McMahon lives in Cork. His poetry has appeared or is forthcoming in The Threepenny Review, The Stinging Fly, Atlanta Review, The Salt Anthology of New Writing (2013), The Montreal International Poetry Prize Global Anthology (2013), Agenda, The Moth, The Irish Times, Irish Examiner, Southword, Poetry Saltzburg Review, Crabcreek Review, Crannog, Ambit, Orbis, The Interpreter’s House, and others. His poetry has also been broadcast on RTE Radio. He has won a number of prizes for poetry including The Keats-Shelley Poetry Prize (2015), The Ballymaloe International Poetry Prize (2011), The Nottingham Poetry Open (2012), The Westport Arts Festival Poetry Competition (2012), The Golden Pen Poetry Prize (2011), second prize in The Basil Bunting Poetry Award (2012), second in The International Salt Prize for Poetry (2013), an Arts Bursary award, for poetry, from The Arts Council of Ireland, and a SIAP bursary Award, for poetry, from The Arts Council of N. Ireland. His unpublished debut poetry collection, The Girl with Drowned Sailors in her Eyes, was a finalist in the Fool for Poetry Chapbook Prize (2015), shortlisted for The Listowel Poetry Collection Prize (2015), and was given a Special Commendation in The Patrick Kavanagh Poetry Award (2015). 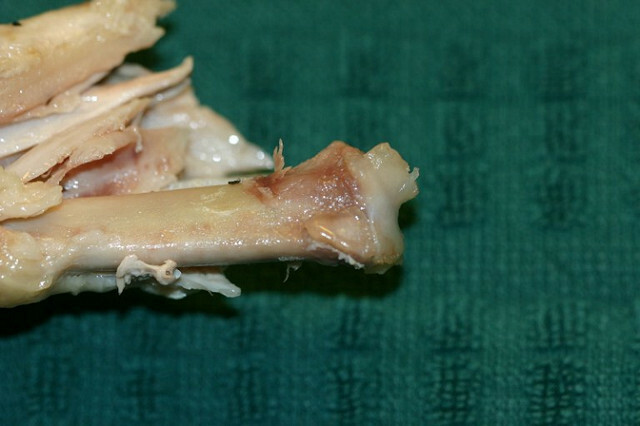 Image: "Turkey Leg Bone" by Handarmdoc.